Seoppi,champions of 3 large competitions around the world came to Daidogei to perform cup stacking. Many people, especially teenage girls were fascinated and crowded by the handsome look of Seoppi. 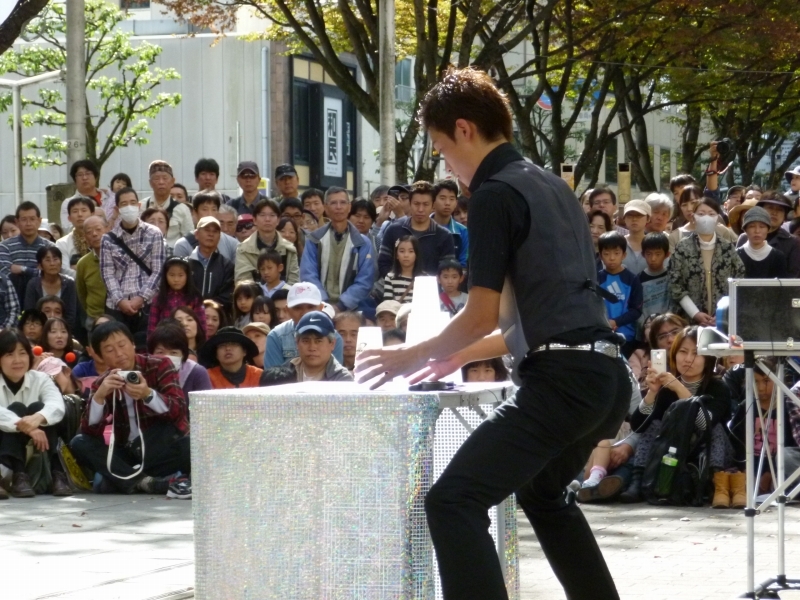 Cup stacking is a show that we make with twelve cups, and he arranged it to perform outside as Daidogei. He introduced by making tricks using various kinds of cups, and he threw the cups in the air and caught them with another cup. 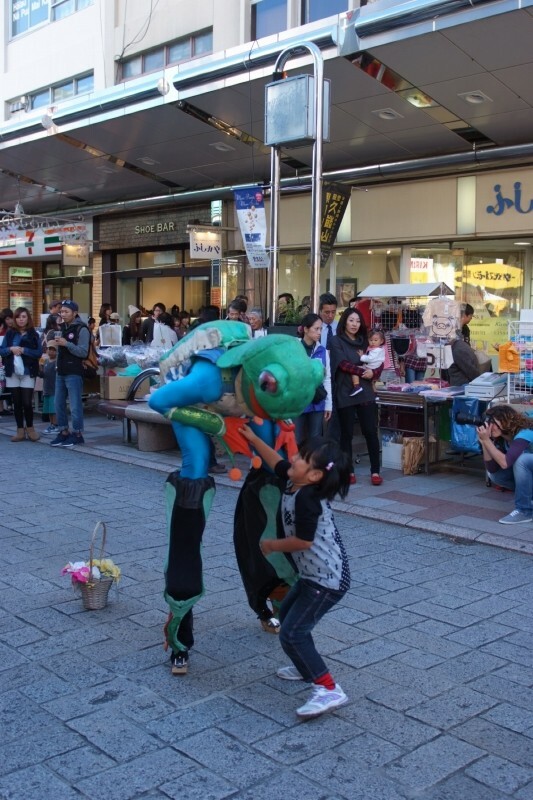 He tried similar tricks with different styles, such as through the legs and catching with his back. He also tried with different cups, large and colored. 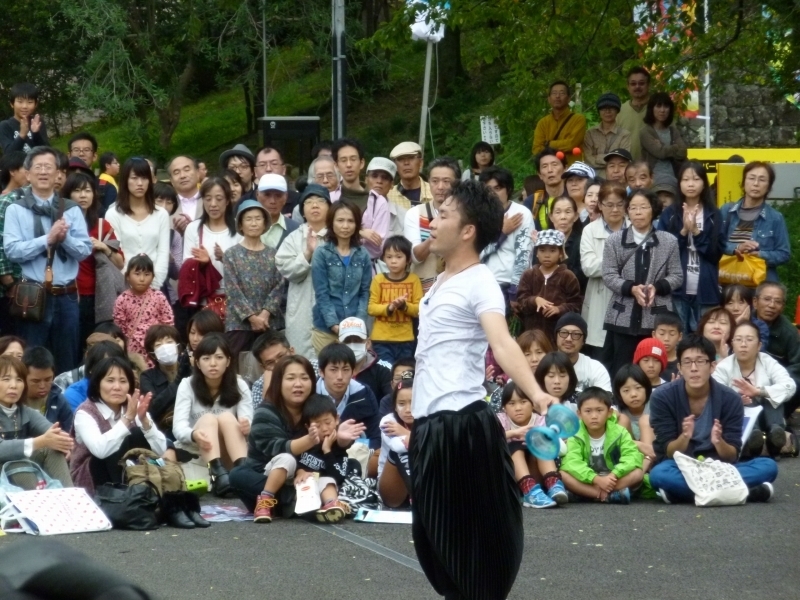 All of his performance were like magic and he increased his difficulty of his show. 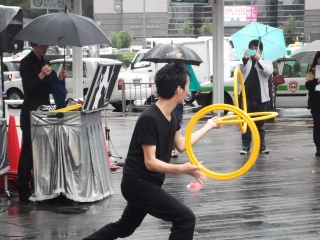 The most important show for him was the real cup stacking, which he performed during the three competitions overseas. and there was a huge applaud from the crowd and his joy when the time showed up under 9 seconds, which he declared earlier. 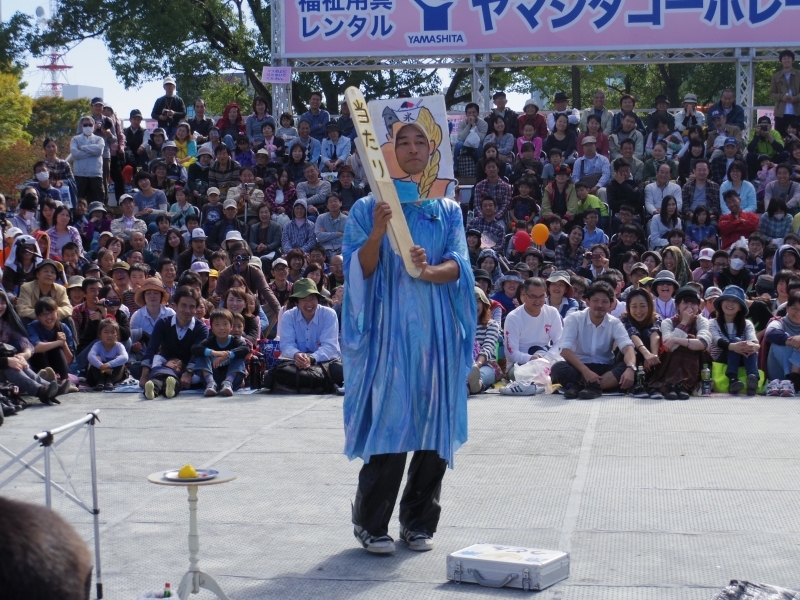 This sport is common in the U.S, so he would hope if his show developed even in Japan! 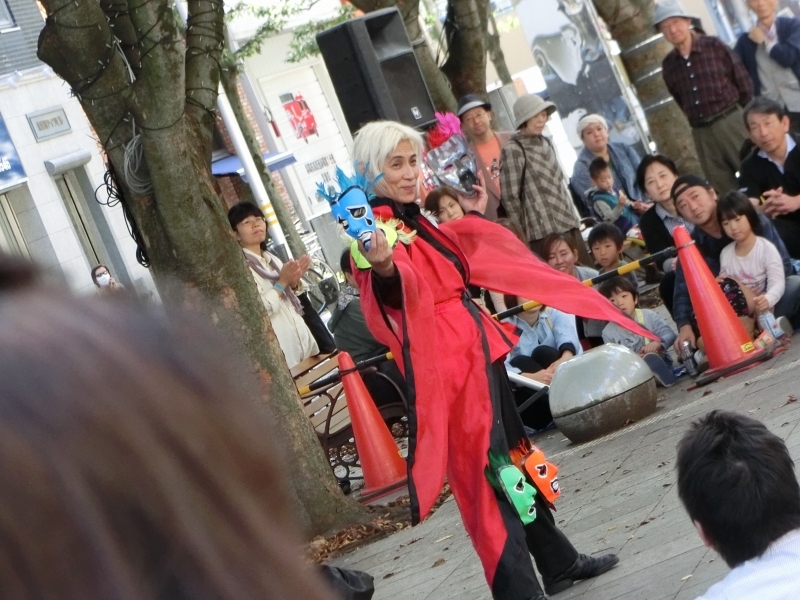 We hope he would return next year in Daidogei! 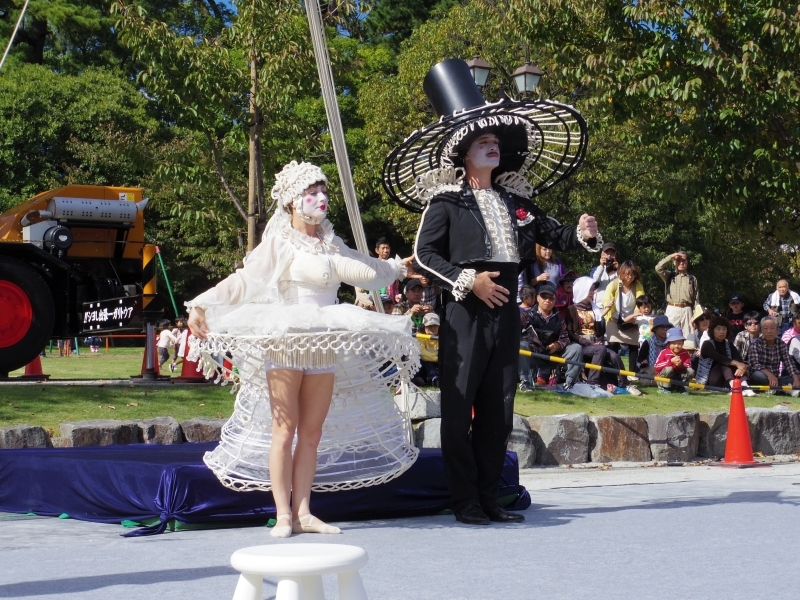 Today is final day of DAIDOGEI in Shizuoka. 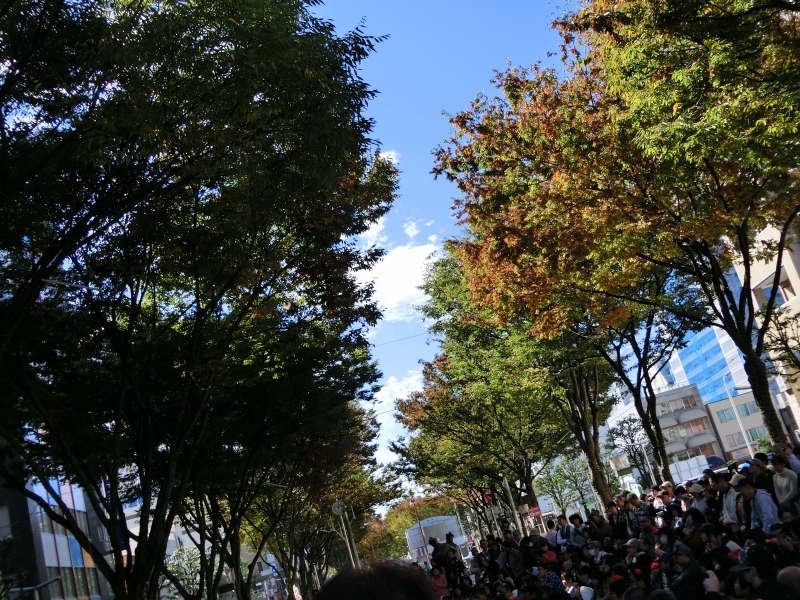 The weather is very good! 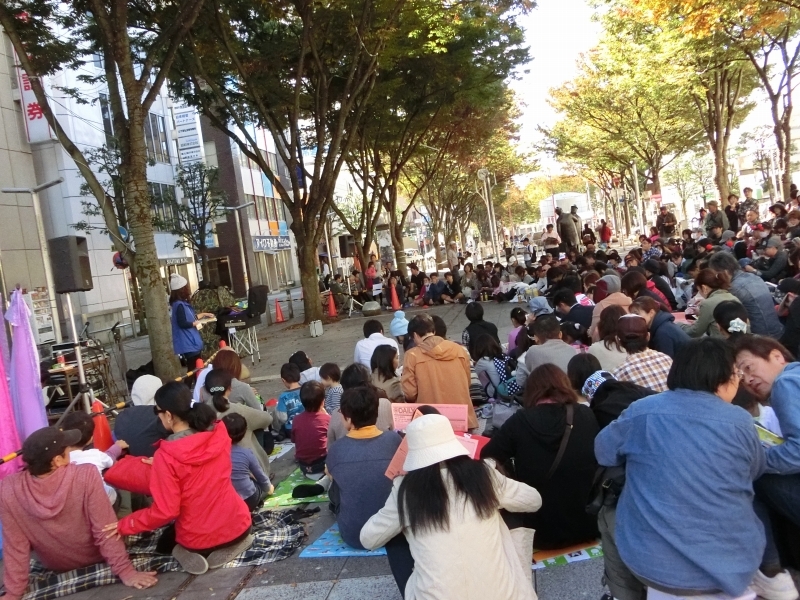 He said 「In Shizuoka, I am happy that the audience are eagerly waiting for the act to start 30 minutes prior to the show」. 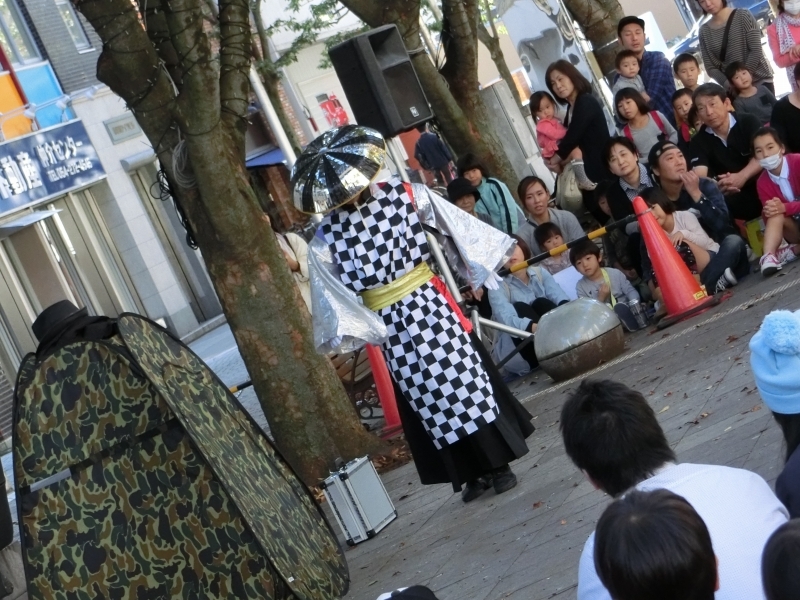 He had a atmosphere of Edo Period. Next, acting with many hands. When many hands move quickly, I can't discern his real hands. He came up with this idea in his dream. 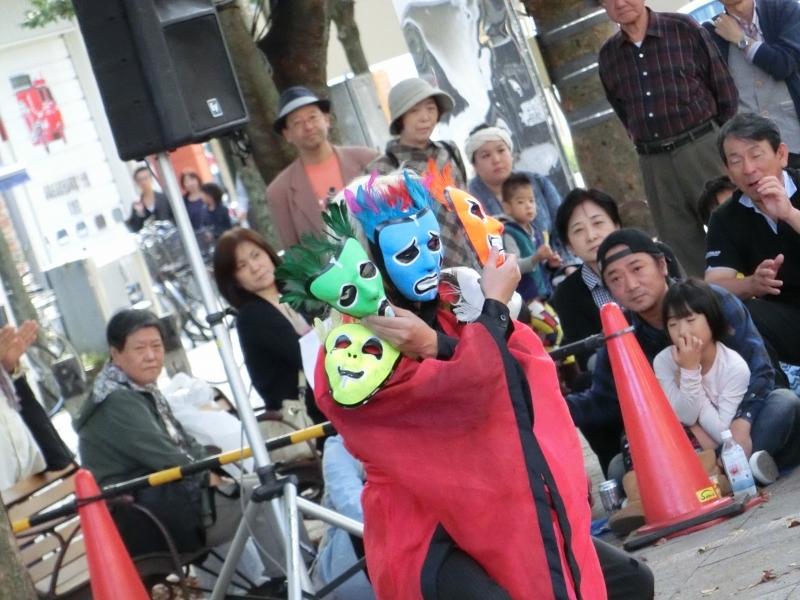 He shows us multicolor masks. He moves his hands synchronized to music, and also give in sign language. 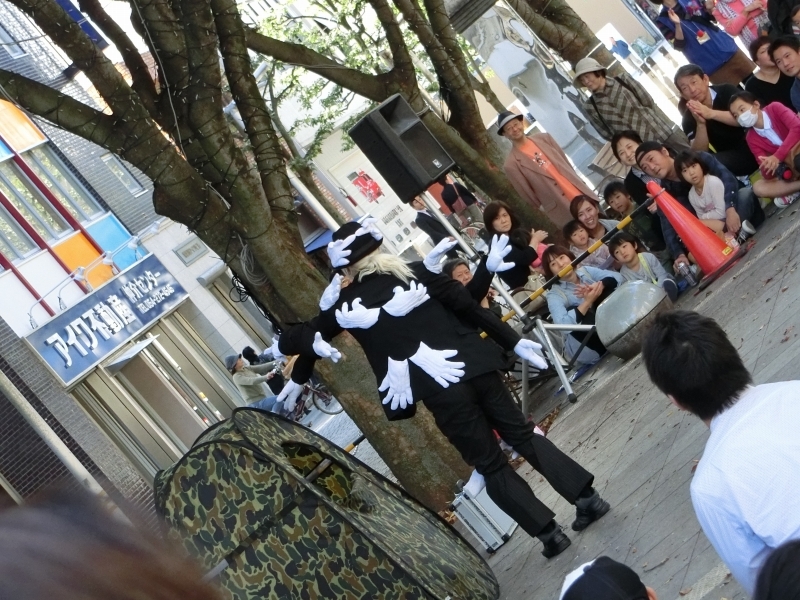 He occasionally does his performance in a school for hearing impaired children. 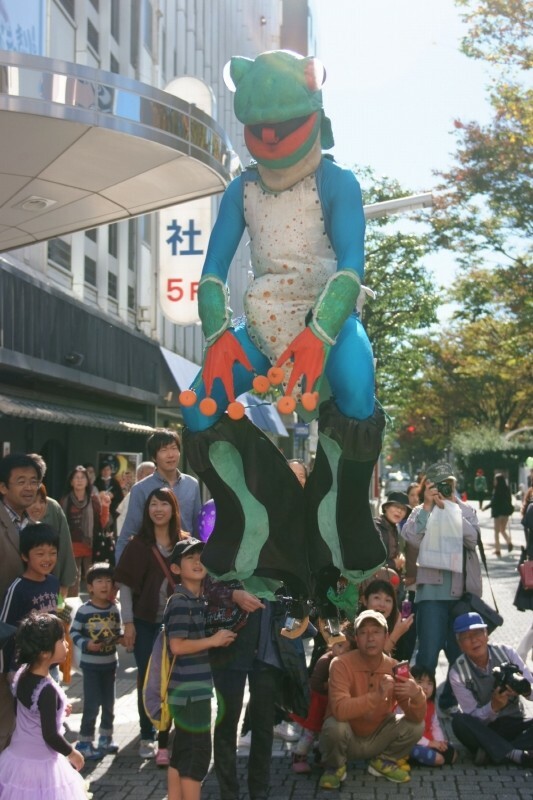 He performs his show without sounds so everyone can enjoy. 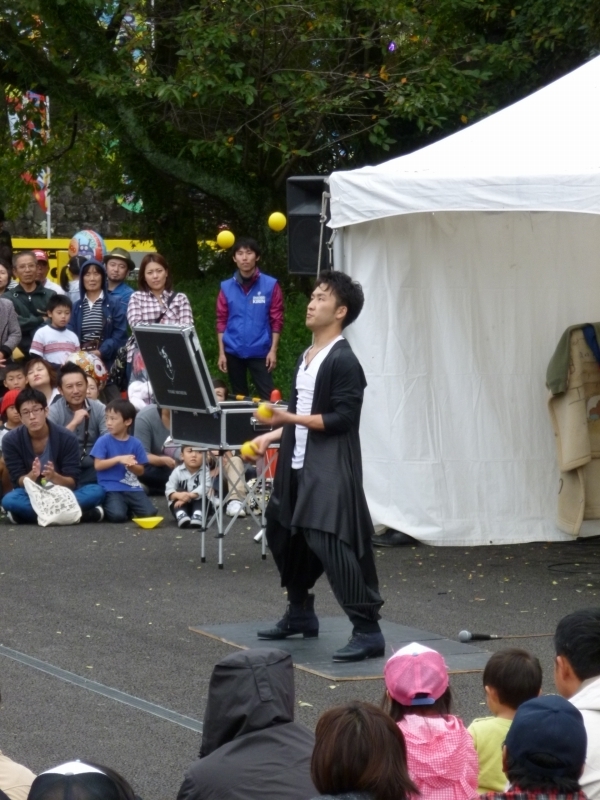 The only member in the ON stage from Shizuoka City, Yusaku Mochizuki entertained us with the combination of tap dance and diabolo. 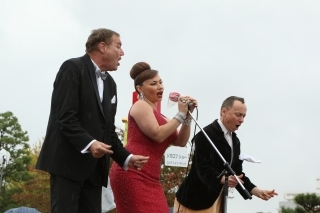 There was a huge crowd waiting for the hometown performer, although slight drops of rain started to drop in the area. Of course, he knew about Daidogei since his childhood, and every year, he gets overexcited this time around at the year. 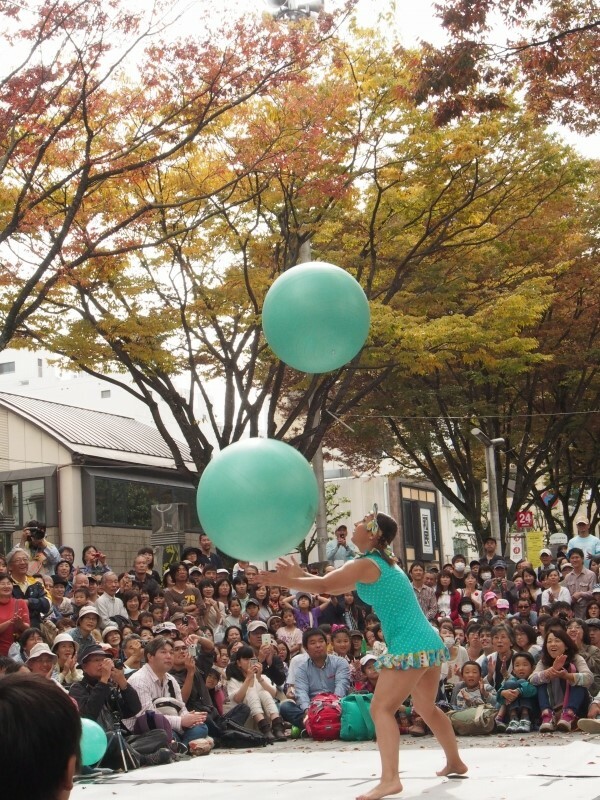 He experienced the first Daidogei festival around the age of three, and started performing in the Daidogei around 1999 in a yo-yo competition. 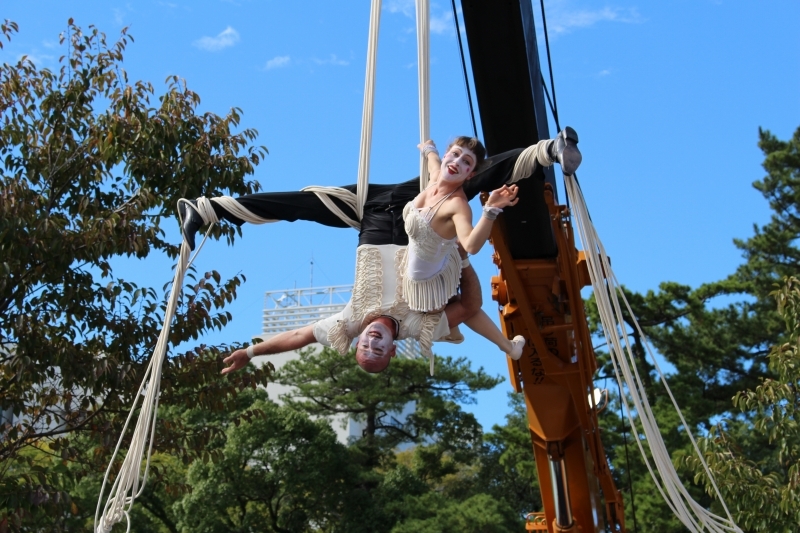 He learned about imaging arts during his university life, and he performed as a guest in a dinner party celebrating the 50th anniversary of Tokyo Olympics, which was sponcered by the Prime Minister. One thing that he kept in his mind is to enjoy his performance, since if he focuses too much on his skills, he cannot express himself well. 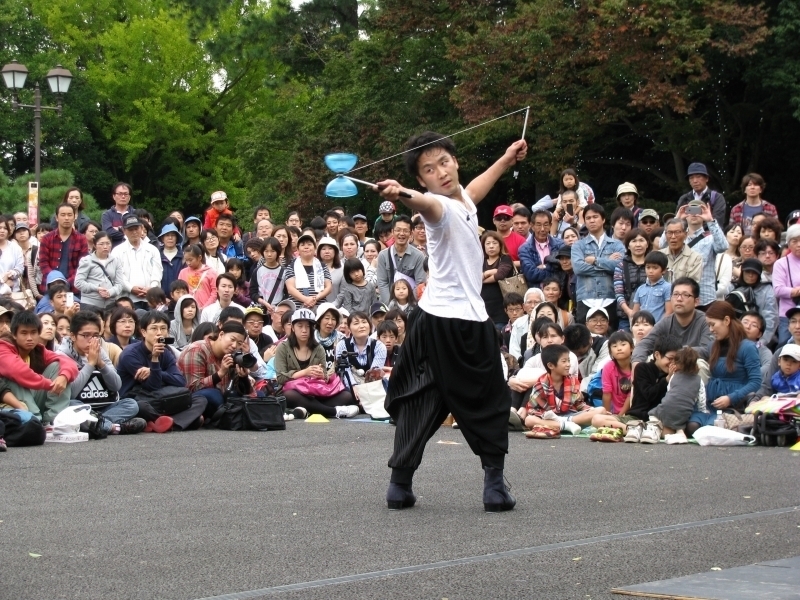 He tap danced to keep us in, and as time passed by, he started to add the number of diabolo,increasing from 4 to 5 to 7. He had many tricks that he mastered, such as spreading the string around back and forth, and juggling the diabolo like a ball. 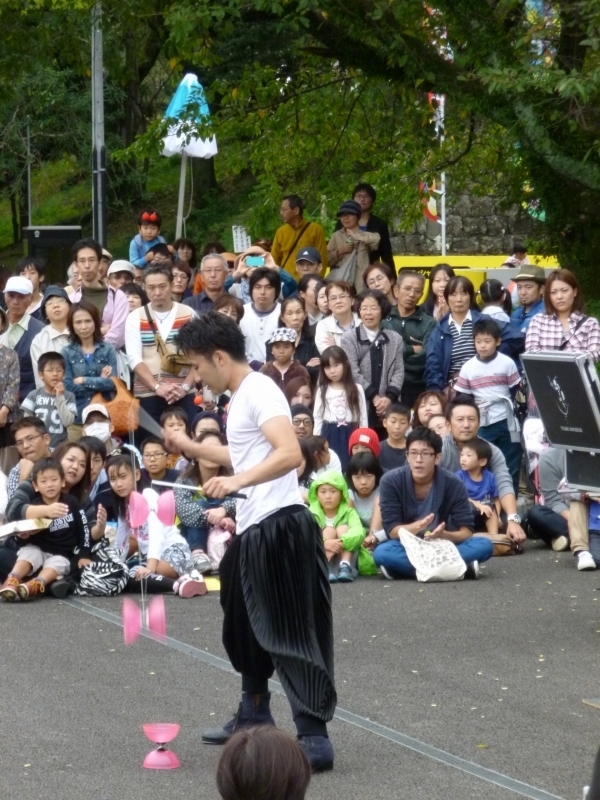 The most entertaining trick was when he threw a diabolo high in the air, and just as when the diabolo safely reached in the string, a large applause came from the crowd. 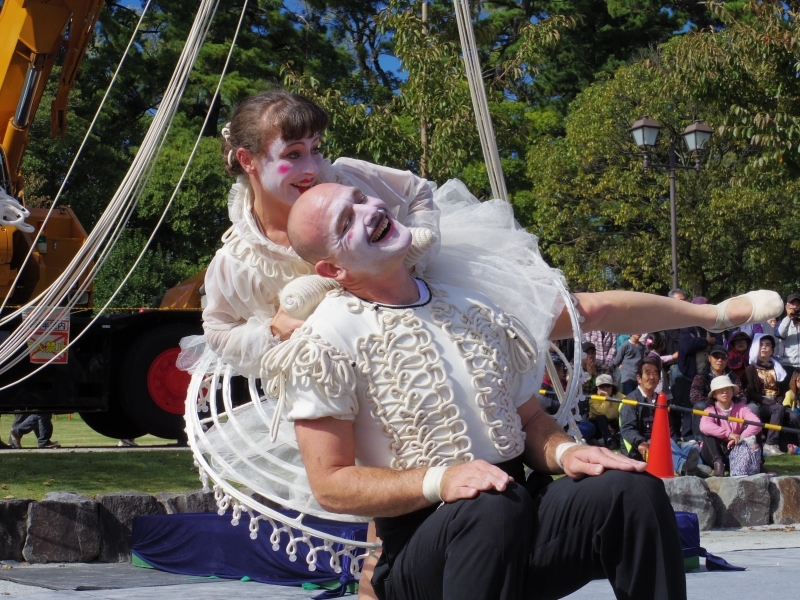 He feels priviledged about getting to perform in the Japan Cup. 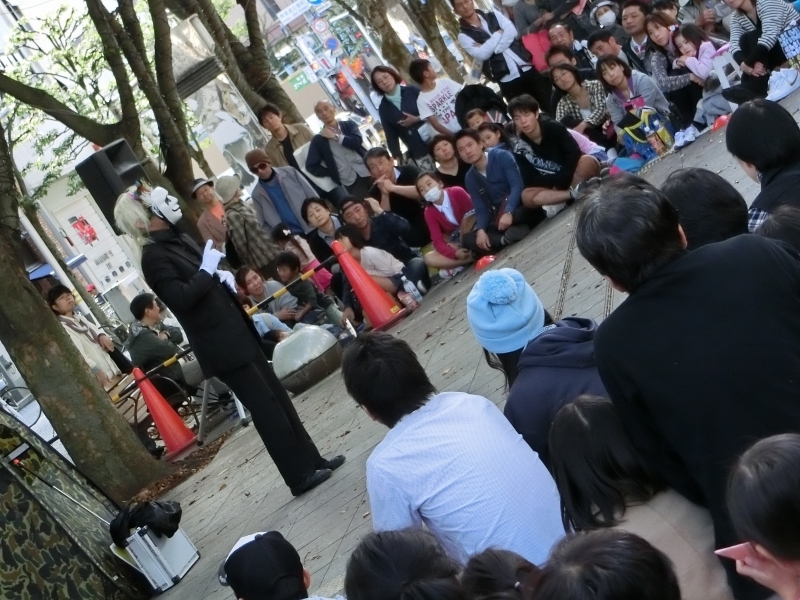 In the evening show, he would perform using the knowledge of imaging arts. He would keep you entertained with a different kind of show, so don't miss out the night show from 7 pm!